Deeply rooted in ancient Chinese beliefs, yin yang philosophy represents the duality of all things in the universe. 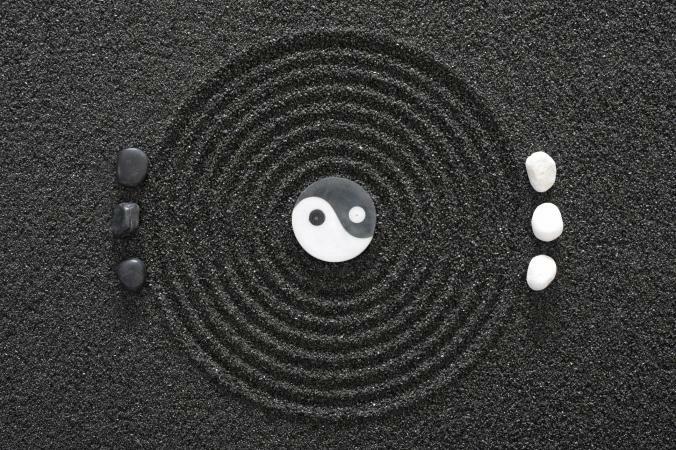 The balance and harmony between yin and yang is an essential tenet in feng shui, Taoism, and other eastern philosophies. The symbol of the yin yang is recognized throughout the world. It had its beginning thousands of years ago in ancient China. The earliest symbols for yin and yang were found on oracle bones dating from the fourteenth century B.C. Oracle bones are the skeletal remains of animals used as a divination method by the early Chinese. The symbols used in these inscriptions depict the basic natural occurring phenomena such as day and night. 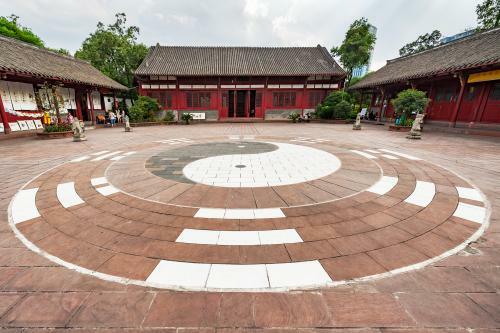 Throughout the following centuries, the philosophy of yin and yang represented the beliefs of the ancient Chinese in their understanding of the workings of the universe. It represents the opposite, yet complementary, dual polarity of all existence. During the years 207 B.C. to 9 A.D. the Han Dynasty attempted to unify all of the schools of thought that existed in China. They wanted a standardized culture and philosophy, and tried to fuse all of the schools into one system. The philosophers of the Han Dynasty focused on the I Ching, also known as the Book of Changes. Using the I Ching, philosophers developed the Tao, which is the principle of the workings of the universe. Their new theory was made into an appendix of the I Ching and it explains the origins of the Yin Yang, also known as the Five Agents School of Chinese Thought. The appendix also included an explanation of the metaphysical workings of the universe and everything in it. The Yin Yang School of Thought is based on a single principle that the universe is run by the Great Ultimate, or Tao. The philosophy of the Tao is that everything is divided into two principles that are opposite one another in their existence and actions, yin and yang. Represented by the outer circle of the yin yang symbol is everything in the universe, or the whole of a single aspect of existence. The areas of white and black shapes that are within the circle represent the yin and yang. These shapes are symbolic of the two energies and their interaction with each other that causes everything in the universe to happen. Their flowing curvy shapes are symbolic of the constant change that takes place in the universe between yin and yang. According to the yin yang philosophy, each is present in everything that exists. Symbolically this is represented in the yin yang symbol. The large dark area has a small white circle and the white area has a small dark circle. This illustrates that just as it is in life, everything is not completely white or black and neither one can exist alone. They must exist together. The yin yang symbol gives the feeling of the strong interaction of the two opposing energies making it seem as if there is a continual movement and exchange of energy between the yin and the yang just as there is a constant exchange of the energies of life. Yin, the dark area of the yin yang symbol, is representative of the feminine aspect. Yang, the opposing, or white side of the symbol represents the masculine aspect. Based on the philosophy of yin yang, everything in the universe is cyclical and constant. This means that one opposing force dominates for a time and then the opposing force becomes the dominant one. It also means that in each state are seeds of their opposing force, for example in health are the seeds of sickness. Everything contains principles of its opposite, in philosophical terms this is known as presence in absence. The following are examples of the philosophy of yin yang as it is seen throughout the universe. The yin yang philosophy explains the duality found in everything in the universe and the interactions of opposing energies. It is present everywhere, and each component is neither good nor bad, it just is. One cannot exist without the other.